Have you ever wondered why so many sugar-centric holidays fall during the coldest, crummiest time of year? Every month or so during the winter, there’s a new excuse for sugar-indulgence: Halloween to console us that the snow is coming, Thanksgiving a month later to set off the holiday feasts, Christmas and New Year’s within a week of each other, Valentine’s Day six weeks later, and Easter (roughly) six weeks after that. Yes, some of it is thanks to the junk food industry, and some of it is because we can’t barbecue in February, but humans have been celebrating winter festivals with sugar (or honey, or whatever we could get) for a lot longer than Nestlé has been buying billboard space. To a certain extent, we’re just wired to move less and eat more (particularly more carbs) during the winter. And that’s not a coincidence – in fact, it used to be an evolutionary advantage, back in the day. Unfortunately, today it’s not so desirable. So take a look at what causes seasonal weight patterns, why they used to be perfectly adaptive, and what you can do to gently steer your body to a place you’d rather go. During the winter, humans generally tend to eat more and exercise less. People as far apart as Turkey, the US, and rural Pakistan tend to eat more, move less, and generally put on some weight. There’s a reason why so many weightlifters and bodybuilders like to bulk in the winter and cut in the summer: it’s easier! This pattern is visible across populations, but sometimes it takes a more extreme form as Seasonal Affective Disorder (SAD), a seasonal form of depression that eases up in the summer and then comes back full force in the winter. SAD causes an increase in appetite, and specifically in carb cravings. Together with very low energy and a decreased drive to do anything, this very commonly causes overeating and weight gain. About 5-10% of people, mostly women, have SAD. It’s pretty easy to see some of the contributing factors to this. Just to take one example, exercising is a pain in the neck in the winter; it’s harder to do anything and easier to just lie on the couch. And that’s without mentioning the temptation to stop caring because you’re already huddled under three layers of sweatshirts anyway so who’s going to notice, right? But there are also biological reasons why weight gain is easier in the winter. Less light means less Vitamin D, which is synthesized by cholesterol in your skin when the sun hits it. Vitamin D deficiency makes you feel tired all the time, and sugar and carb cravings could easily be a response, a last-ditch attempt to get more energy from somewhere, anywhere. Alternately, Vitamin D deficiency could contribute to weight gain by turning down fat oxidation (that’s the technical name for “burning fat for energy”). Without enough Vitamin D to go around, less fat gets burned for energy, and more of it gets stored. Vitamin D affects inflammation, creation of new fat cells, and secretion of adipocytes, and Vitamin D levels are inversely associated with BMI. The changing light cycle can also be a problem if it’s mis-aligned with your body’s internal clock. Disturbances in light cycles change the composition of the gut flora, in ways that promote weight gain and metabolic damage. Remember how Seasonal Affective Disorder (SAD) is something like the extreme end of the spectrum of winter weight gain? One of the best ways to treat SAD is a combination of light therapy (artificially re-creating a summer light environment) and melatonin supplements (pushing the body’s internal clock into sync with the environment). This is another huge clue that somehow, the winter light environment is a trigger to put on a little fat. So…winter is bad, right? It makes us depressed and fat? Well, not exactly. We evolved all these weight-gain responses, because for most of our species history, fattening up in the fall and winter meant a much better chance of survival. And not just survival for us, survival for our babies. Most obviously, cold is calorically expensive. You can’t run a furnace with no fuel, and under cold-weather conditions, your body has to turn the furnace way up. Considering that food supplies used to be unreliable during the wintertime, it made perfect sense to stock up on whatever you could get, wherever you could get it. Especially for women, gaining weight during the winter used to be an important metabolic adaptation to pregnancy. Imagine a world without (a) central heating, (b) a guaranteed consistent food supply at all times of year, or (c) birth control. In that world, the best time for conception would be in the summer (when the woman is most fertile, because there’s the most food around), and the best time for birth would be early spring (after the hard work of the harvest is done, when there’s not a lot of heavy physical labor, but before the winter food stores run out). In the modern world, the “winter light signals” are even more intense, thanks to our typical work schedules. So there’s even more physiological pressure to gain weight. But you don’t have to survive food shortage – there’s literally no need for the extra weight you’re even more likely to gain. During the winter, the days are short and the nights are long. But at least if you lived in a traditional culture, you’d probably be getting some sunlight while it lasted. Today, though, plenty of people wake up while it’s still dark, and get off work when it’s already dark again. If you work inside in a room without windows, you might not see the sun for an entire day, or even several days at a time. If shorter days are a signal to start hoarding fat, this is a super-signal. Sleep longer; get up later. Get up in darkness or at dawn. Get up in darkness (no bright morning light). Shorter sunlight, but some light exposure during the day. Electric light (intermediate between morning and evening), and possibly blue. Go to work under electric lights. Possibly get some blue light from using a computer. Light exposure in the evening Red/evening light or nun. Red or none. Come home and sit around a fire or go to bed. Come home and use the computer or watch TV (bright, blue, early-morning light) until bedtime. 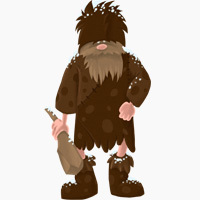 For our hypothetical pre-electricity caveman, the winter light change wasn’t as dangerous, because it didn’t completely eliminate his window of sunlight. But in the modern world, when sun exposure is much more limited to start with, winter can completely eliminate it. And on top of that, we’re getting a bunch of pseudo-blue light in the evening! For the modern cubicle warrior, circadian derangement will be worse (causing worse Seasonal Affective Disorder, if the person is prone to it), Vitamin D deficiency will be worse, and weight gain will probably be even more of an issue – all in an environment where the weight gain is completely unnecessary because we have a secure food supply and central heating to keep us warm. And just to top it all off, we have a much more tempting array of cheap and readily available junk food to satisfy those completely unnecessary carb cravings. Now we have the problem: the modern schedule magnifies a biological pattern (weight gain in winter) that used to be adaptive but isn’t healthy any longer. So how can you rearrange your lifestyle to take the stimulus in the other direction – in other words, to stop sending signals to your body that it’s time to pack on some extra fat in preparation for the wintertime? Look into a light therapy box. This is essentially a big light that imitates the spectrum of sunlight. You look at it in the morning to mimic the hormonal effects of sunlight even if it’s dark out. Light therapy has shown impressive success with SAD and winter mood problems. If you can get outside during the day into natural sunlight, do it. Even if it’s just a half-hour walk on your lunch break, it’ll help. Practice good sleep hygiene: a dark room, no screens at night, and a scheduled bedtime if you have trouble making it to sleep. This is good advice for all seasons; smartphones in bed aren’t doing anyone any favors. If you have to use computers late at night, use orange glasses or a free program like lux to shield yourself from the blue light (you can also get similar apps for your phone). Look into a Vitamin D supplement. Alternately, make like the traditional cultures that live in cold and dark places and start eating a lot of fatty, cold-water fish like salmon (wild-caught has much, much more Vitamin D!) and sardines. Better yet, do both. Make a plan for getting your workouts in during the winter. If it’s too painful to get to the gym, do you have DVDs or a routine you can do at home? If you’re a runner or a cyclist, do you have the proper winter gear? Make a plan for managing sugar-rush holidays so you aren’t caught unawares when the biological drive for weight gain meets the advertising juggernaut of the holiday season. Will you make Paleo treats? Will you get yourself something else nice so you don’t feel deprived during the sugar season? Just “toughing it out” rarely works. If grocery shopping is hard in the winter, look into delivery services or other options that can keep you stocked with healthy foods, so in case you do get those sugar cravings, you’ll have an answer. This was a pretty long read, but it’s a complicated topic! Seasonal weight gain used to be a very useful adaptation to food scarcity. The carb cravings were great, because they drove us to eat what we could, when we could get it, so we could survive when we couldn’t. 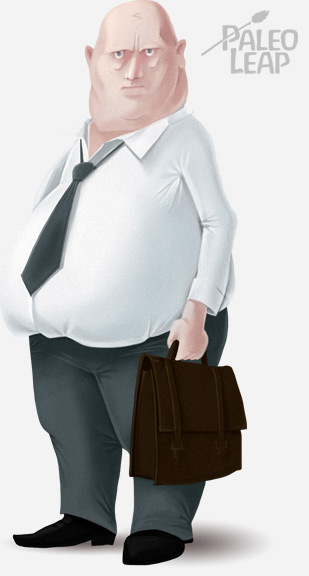 In the modern world, the physiological drive to gain weight got turned up, but the need for that weight disappeared. It’s a perfect mismatch. Re-creating a more summer-like light environment with a light box and Vitamin D supplements. Avoiding blue light at night or wearing orange glasses. Planning in advance for sugar-loaded holidays. Even if you’re not feeling the winter blues yet, looking into these things now can really help you be prepared when the time comes.